EDMONTON—Canadian researchers may have found the answer to one of the greatest mysteries in psychology: who was Little Albert, and what happened to him when he grew up? 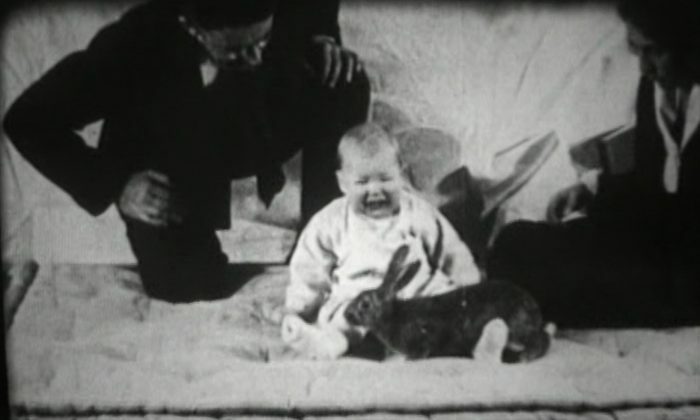 Albert B., known today as Little Albert, was the subject of an experiment by famous psychologist John Watson at the Johns Hopkins University in Baltimore in the 1920s. In what has become known as a case of unethical research in psychology, Watson conditioned Little Albert to fear rats. During the course of the experiment, this fear later developed into a phobia of other furry animals as well, according to Watson. Watson and his graduate student Rosalie Rayner recorded very short film clips of their experiment with Albert. In the years since, the experiment has been included in most introductory psychology textbooks. Albert disappeared after the last testing session, and over the years, many have wondered what became of him and whether his fear of furry animals stayed with him into adulthood. “These days, the experiment is often presented as an example of the lack of ethics in the early days of psychology, and ethics of course is a huge issue these days,” says Russ Powell, an associate professor of psychology at MacEwan University in Edmonton who, along with two colleagues, set out to find the identity of Little Albert. The identity of Little Albert was seemingly solved in 2009 by Hall Beck, a psychologist at Appalachian State University in North Carolina. After many years of research, Beck and his colleagues came to the conclusion that Little Albert was a baby named Douglas Merritte, born to a wet nurse by the name of Arvilla Merritte. They said Albert B. was a pseudonym used by Watson for the baby. The researchers uncovered Douglas Merritte’s medical records which showed that the baby, who died as a child, was neurologically impaired. They also said the videos Watson had made showed evidence of this impairment. This was contrary to claims by Watson who had said the baby was healthy. If true, the finding would severely undermine Watson’s reputation as an academic as well as the reputation of Johns Hopkins, given that there were other professionals in the lab who oversaw Watson’s experiments. However, there are a number of inconsistencies in the findings, according to Powell’s co-researcher and fellow faculty member Nancy Digdon. “Little Albert in the film appears for only five minutes and the footage of him is extremely short episodes that are then spliced together to make a somewhat longer sequence. So the notion that you can make any claims about the baby having various kinds of behavioural deficit on such limited silent film footage we thought was quite unusual,” Digdon says. The next step for the team, which included Ben Harris, a professor of psychology at the University of New Hampshire, was to find the right candidate who would match Albert B.’s profile. Powell started his research by focusing on another wet nurse, Pearl Barger. He discovered that Barger had given birth to a child named William in March 1919, matching the age of the baby in Watson’s research. William’s middle name was Albert, which was what family and friends called him. Another clue was Albert B.’s weight. Watson’s records showed that the baby weighed 21 pounds. Douglas Merritte was severely underweight as an infant, weighing only 14 pounds. Albert Barger, however, weighed 21 pounds, the same as the weight documented by Watson. “People could quibble that Watson’s description of the baby’s weight was mistaken, but it’s hard to quibble with the film. The baby pictured in the film is clearly not underweight. If anything, he’s quite robust and large for his age,” says Digdon. Albert Barger was given the last name Martin after the man his mother married when Albert was about 2 years old. Powell managed to track down William Albert Martin’s niece in Baltimore, a woman in her 60s. He said she spoke very fondly of her uncle, saying he was like a father figure to her. Martin got married but had no children. He and his wife divorced later on, but remained best friends. He worked at a few different jobs throughout his career, including as a sales person in the airline industry, which, according to Powell, would indicate he had decent social skills at the very least. As for whether Martin had a phobia of furry animals, he reportedly didn’t like dogs and would avoid them. However, he had a dog of his own as a child that he loved greatly, but it died in an accident. Digdon says it’s difficult to say whether his dislike of dogs was a residual effect from the Watson experiment or something else, as people go through various experiences over their lifetimes that could lead to different behaviour. “It’s really hard to say whether any of that could have come from the study, or just by his nature, or other things that may have happened since that time,” she says. Martin passed away in 2007 at the age of 87. His niece said he would have been intrigued to find out about his past and the possibility that he was Little Albert. Harris, who is an expert in the field of history of psychology and has done prior work related to Little Albert, says the likelihood that Martin was Little Albert is more than 90 percent—but that’s not the important part of their work. “It’s interesting that we got the right one, I think Russ [Powell] and Nancy [Digdon] should be congratulated for that. But as somebody who wants to get rid of false information in science, [eliminating the wrong candidate] is in some ways more notable,” Harris says, adding that Watson’s Little Albert experiment is an example of badly conducted research. Powell, Digdon, and Harris acknowledge in their paper, soon to be published in American Psychologist, that they are indebted to Beck and his colleagues for cleverly using census data to track down the wet nurses that could be Little Albert’s mother. Beck didn’t respond to an interview request by story deadline.